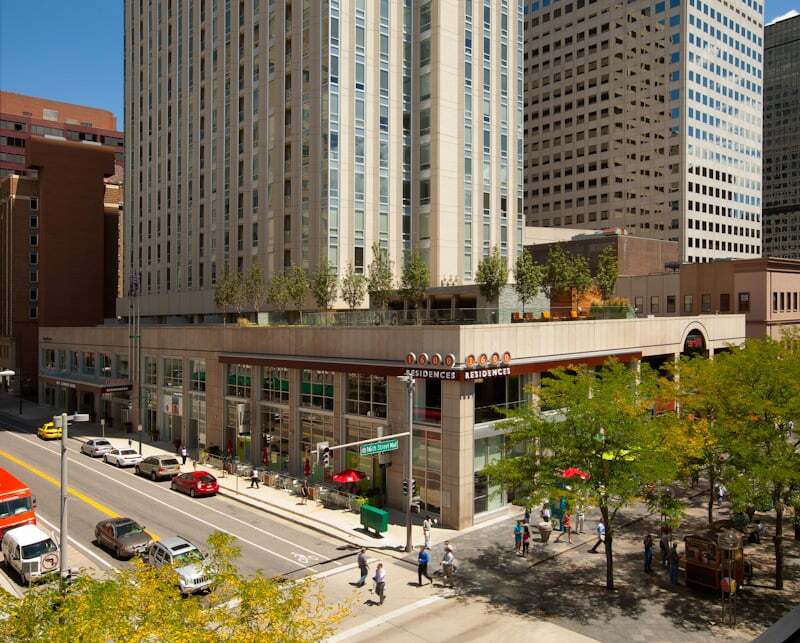 1600 Glenarm is a luxury 31-story high-rise in the heart of downtown Denver. Residents enjoy breathtaking mountain and city views in addition to 5-star concierge service, high end amenities, and gorgeous modern home interiors. 24-Hour Concierge, Gratuity-Free Valet Parking, Controlled Access Building, State-of-the-Art Fitness Center with Fitness On-Demand, Cyber Lounge, Demonstration Kitchen, Movie Theater, Game Room with Indoor/Outdoor Lounge Area, Yoga/Pilates Studio, Outdoor Terrace with Grills and Fireplace, Electronic Entry Locks, Granite Counter Tops, Wired for High-Speed Internet Access, Breathtaking Views.